The Dream Team from Gameweek 3 which scored 133 pointsThe Premier League is back. Hurrah! Life is going to be alright again. After a gruelling weekend where we had to suffice our footballing hearts with meaningless international friendlies, normalcy will be resumed this coming weekend. This also means the return to focus of the world’s favourite fantasy game, the Fantasy Premier League.It’s that time of the week again when we have to stress every muscle of our brain to figure out whom to bring in or “kick” out from our Fantasy Premier League team. That’s where we come in. Helping you pick out chaff from the grain, the diamonds in the coal mine.Here is a list of 5 players that you should be having your eyes on for Gameweek 4 of the Fantasy Premier League. 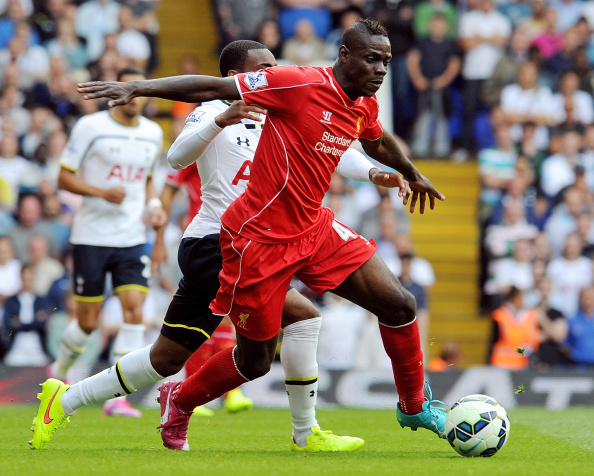 Mario Balotelli in action for Liverpool last game-week against Spurs. Mario Balotelli now becomes the focal point of Liverpool’s attack with Daniel Sturridge now ruled out for up to three weeks. This should also give you the green signal to make a like-for-like replacement in your fantasy team. The enigmatic forward made his debut for Liverpool in their impressive 3-0 win over Tottenham a fortnight ago. Although, the Italian failed to rack up any significant fantasy points, he gave us a glimpse as to why top clubs keep queuing up for his services. If transferred in for Sturridge, Balotelli (priced at £10 million) frees up a precious £1.5million of your budget that you can spend on that lucrative pricey midfielder that you were on the lookout for. With the fixture list also becoming kind to the Merseysiders in the coming weeks, it’s the best time to rope Balotelli into your side. Wilson (L) competes with Manchester City’s Sergio Aguero. Except for the initial glitch against Aston Villa in their opening game, Stoke have looked solid in their opening games this season. In fact, they pulled off the biggest upset so far in the league with their win away at The Etihad against Manchester City last Gameweek. Stoke seemed to have built upon their squad that finished in the top half of the table last season in Mark Hughes’ first season in charge. A solid transfer window and stability within has seen Stoke conjuring up expectations of a solid season ahead. Their victory over defending champions Manchester City was a fair indication that the Potters might be able to set the cat amongst the pigeons this time around. Stoke’s strength however emanates from their defence which offers some excellent defenders for your fantasy team at some mouth-watering prices. The best amongst them being the regular starter, Marc Wilson, who is priced at a paltry £4.5million. The price, coupled with the factor that the Potters are approaching a stretch of games that should be fairly easy sailing, gives you the perfect reason to strike the iron while it’s still hot. 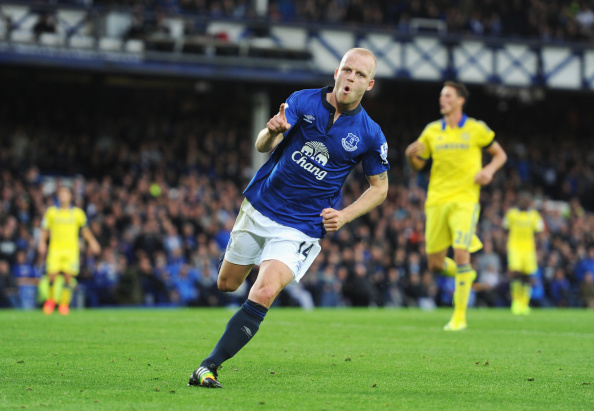 Naismith celebrates after scoring Everton’s second goal against Chelsea two weeks ago. Steven Naismith has so far been the revelation of the Premier League this season, perhaps barring Diego Costa. The Scottish international has found a place where he feels he belongs and also a gear that not many thought he had. Naismith has featured heavily in Roberto Martinez’s schemes going forward and the Scot has duly backed up the Spaniard’s trust in him by scoring a goal in each of the opening three games. In fact, it will be quite fair to say that he has outplayed Everton’s £28million signing Romelu Lukaku so far this season. Everton’s position in the league table is the perfect example of how the table can belie the true quality of a team in the early goings. The Tofees’ first three games have featured games against Arsenal and Chelsea with the Merseysiders proving they can certainly go shoulder-to-shoulder with the big boys this season. While Martinez’s men have conceded 8 goals in the course of these two games, scoring goals has’t been a problem for them as they put in 5 goals in these two encounters against two of the best defences around the league. With Naismith still priced at an inexpensive £5.4million, and Everton seemingly not looking likely to stop pouring in the goals any time soon, Naismith can be the budget striker of the decade for Fantasy League managers. 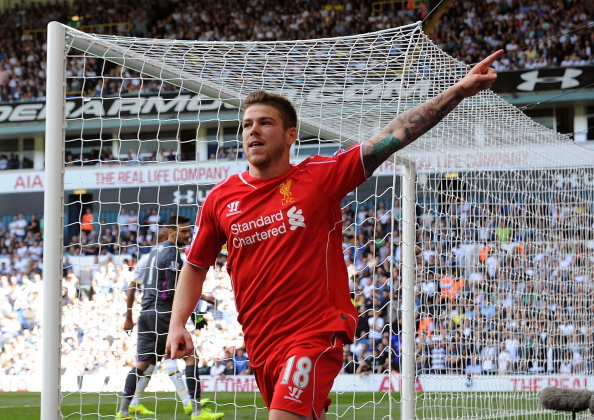 Alberto Moreno celebrates scoring a goal against Tottenham at White Hart Lane. Aston Villa (Home), West Ham (Away), Everton (Home), West Brom (Home), QPR (Away), Hull (Home) and Newcastle (Away). That’s Liverpool run-in for the next seven games. Four home games and only one opponent that finished in the top 5 last season. Thus, of the seven upcoming games, only the Merseyside derby looks to be a concern for the Reds, at least on paper. This should also give you the perfect opportunity/excuse to bring in a Liverpool defender. This is where the Spanish pair of Javier Manquillo and Alberto Moreno comes in. Liverpool’s new full-back duo are deliciously priced at £5million and £5.5million respectively. While Manqulilo gives you that extra saving of £0.5million, Moreno is the man for me as the diminutive young Spaniard adds a new dimension to the Liverpool team while going forward and creating opportunities. His goal on his debut at White Hart Lane gives testament to the fact. 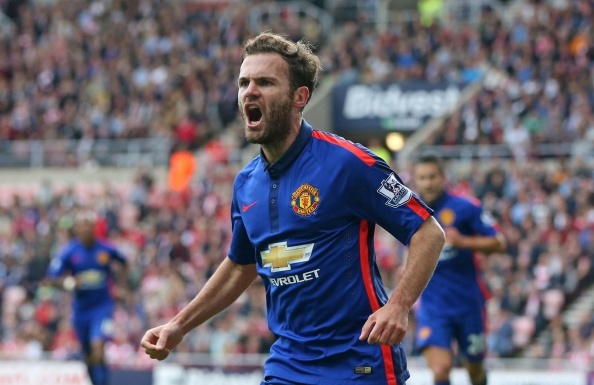 Juan Mata celebrates after scoring against Sunderland in Gameweek 2. Manchester United’s performances in the early games have not only brought frowns to the faces of their own fans, but also to every fantasy manager who had put their trust behind Louis van Gaal and the Red Devils. A seemingly easy round of games to start with has been the cause of much headache at Old Trafford as players all around the pitch have failed hit the right tune in the early goings. The same goes with their fantasy performances as well. However, with the fixture list still being kind to the Mancunians and the pedigree that these players still possess, it's worth giving them a go one more time. It surely can’t go any more wrong. Can it? If Manchester United wants to get back into the thick of things, it needs its midfield to firing again and it will be Juan Mata, to whom Van Gaal should look to fire United back into form. With Mata’s price falling in recent weeks to £8.9million, it gives you a great opportunity to put your money on a stock that seems unlikely to go down any further. Wilfried Zaha (R) celebrates after scoring against Newcastle last Gameweek. Wilfried Zaha looks like an Eagle who has found his wings again. The Manchester United loanee was seen to play with a degree of freedom and flair last week against Newcastle that he rarely showed during his time at Old Trafford. HIs late goal deep into stoppage time helped Crystal Palace eke out a vital away point at St. James' Park. But, truth be told, he could even have had a hat-trick during his twenty odd minute cameo up in the North-East. Zaha looks revitalised and in his best form we have seen in the past couple of season. If you have two free transfers in the kityy and looking for a way to free up some budget, bringing in Zaha (priced at £5.4million) is not the worst you can do. While Zaha might free up the budget for that big transfer for you next Game-week, a home game against Burnley also gives a perfect opportunity for Zaha and you to gather some vital fantasy points.